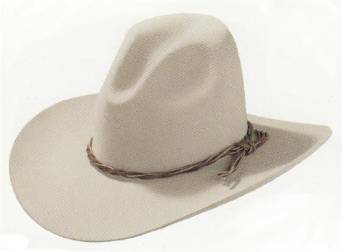 WOOL FELT With Classic Pinched Front Crown and Curled 3 1/2 Inch Brim. Comes with an attached Cavalry Braid Hat Cord. Classic GUS Crown with Your Choice of either a 3 1/2 or a 4 Inch Brim. Comes with twisted Leather Hat Band, just like in The Movie. Tall Open Crown with Your Choice of either a 3 1/2 or a 4 Inch Brim. 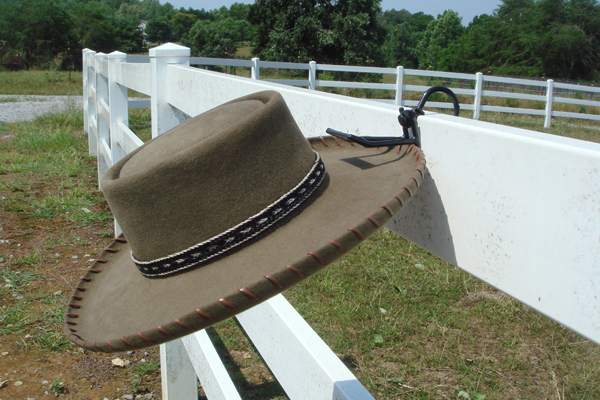 Comes with a Bound Edge and wide Ribbon Hat Band in Hat Color or a Contrasting Color, just like in The Movie. 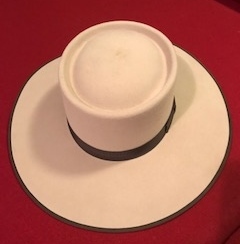 Our DERBY with it's Open Crown and 2 Inch Pencil rolled and Bound Edge is Satin Lined and made of Premium Wool Felt and is right at Home in Town or on a Cattle Drive, Great for LawDawgs and Outlaws alike. Tall Top Hat with 2 Inch Pencil rolled and Bound Edge made of Premium Wool Felt. Great look for Civil War or STEAMPUNK. 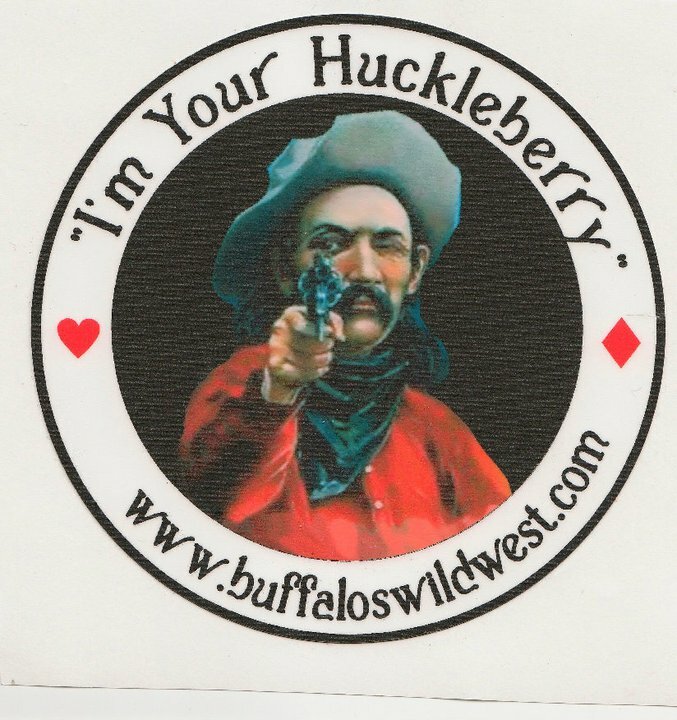 Great for LawDawgs and Outlaws alike.